Know your customers better than they know themselves. 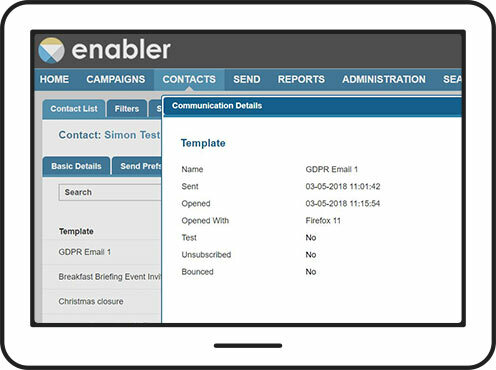 Each contact record in Enabler stores a full audit trail of all communications with a customer. It allows you to monitor and track their complete history of emails and engagement. 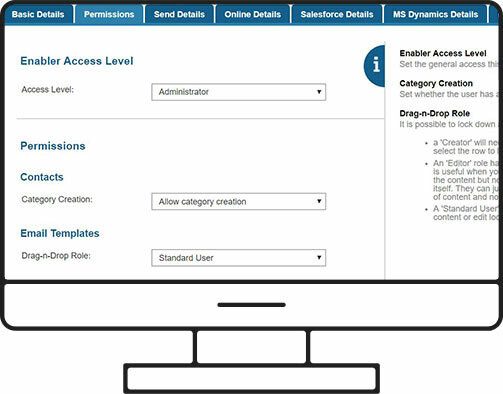 Decide what status a contact should hold, and import and export data when, where and in the format you need it with Enabler’s simple import / export feature. 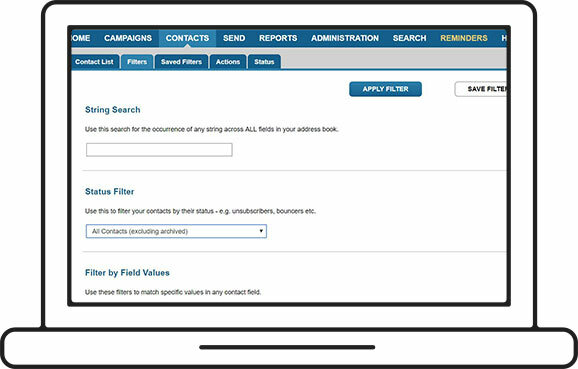 Comprehensive filters enable you to create detailed audience segments for emailing and exporting. You can use demographic or response history data to segment your contacts into meaningful groups, and improve your chances of engagement. There’s no need for complex data mining, and you can save your queries and re-use them for analysis or sending. Enabler offers you infinite scalability for your organisation. We mirror your corporate structure, hierarchy and distribution network of your organisation, enabling you to open up or lock down permissions based on who needs to own a particularly campaign, and who needs to own a particular data set. It can be as flexible as you need. 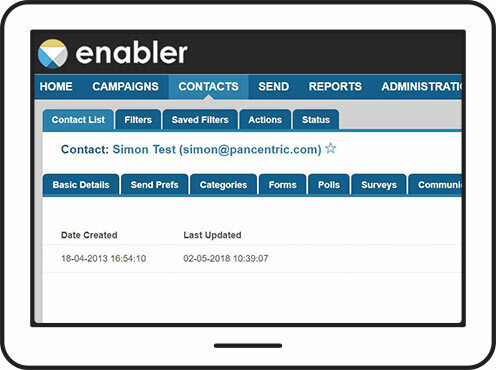 Enabler’s engagement scorer lets you keep better track of your leads. With our link scoring feature, you can see how your contacts have or haven’t responded to your emails. It’s all determined completely by standards you set, you can create the rules you need, and it all happens in real time. 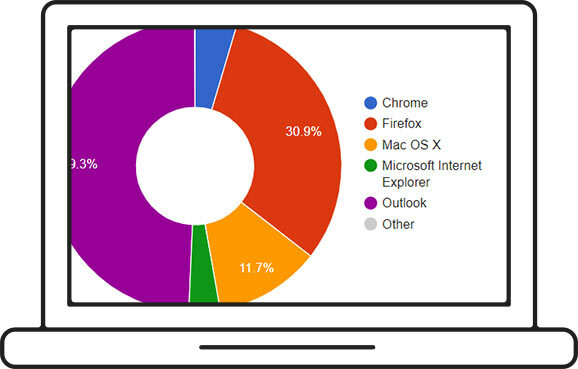 Enabler has a full reporting suite which shows you everything from standard open rates, click thru rates and unsubscribes, right down into which devices your customers are using, their geographical location, the best time of day/time for engagement and what particular elements they are engaging with. If you have the data, we can report on it.